The landing screen for our website. 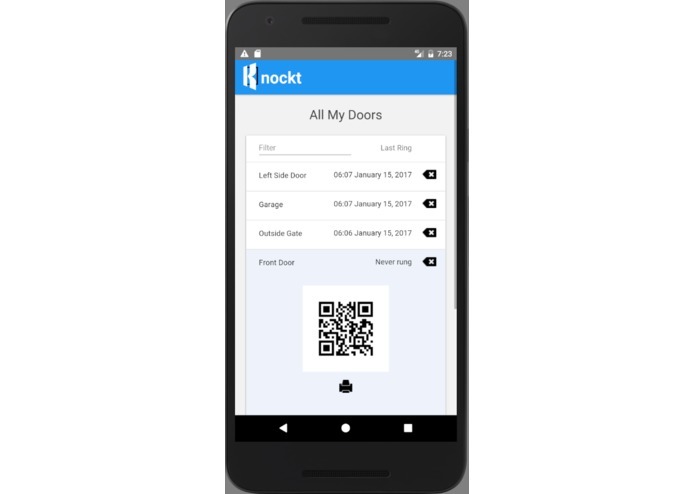 Knockt is a service that allows you you receive notifications from anywhere from anyone. 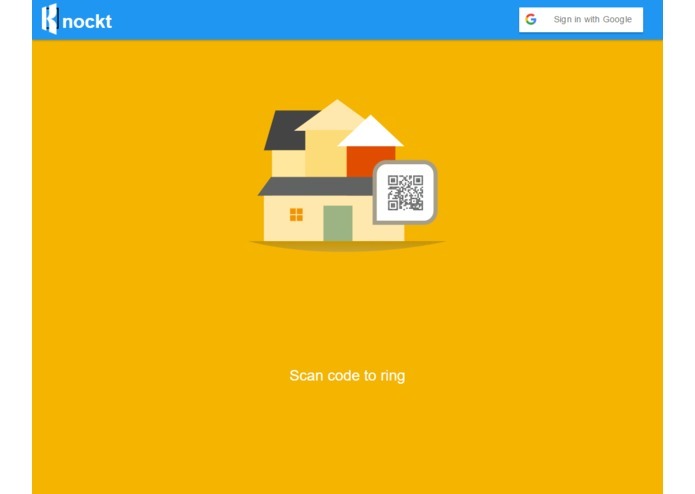 All you need our app and a friend with a QR code scanner. 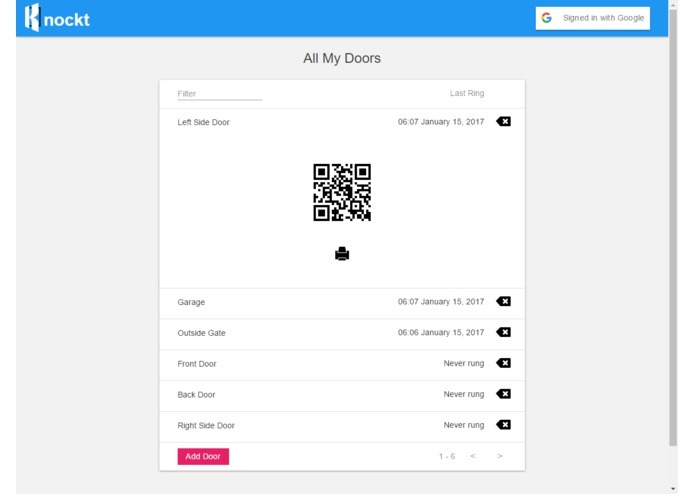 Our website is made entirely from scratch using React. Our node.js backend is hosted on AWS with Lightsail. We have a API available that allows full access to our services. I mocked up the UI of website and the iOS app. I also implemented tiny part of backend, and implemented the iOS app.